On behalf of the African Arachnological Society and the Organizing Committee, we are pleased to invite members of the arachnological community and accompanying persons to participate in the 12th Colloquium of the African Arachnological Society. It will be jointly hosted by the Iziko South African Museum (Norman Larsen) and Butterfly World (Esther van der Westhuizen) at the Klipbokkop Nature Reserve near Worcester in the Western Cape Province, South Africa, situated approximately 150 km from Cape Town. The colloquium will be held from the afternoon of the 22nd of January (registration and welcoming function) to the morning of the 26th of January 2017. For more information on the venue, you can visit www.klipbokkop.co.za. Further details will be posted soon on the website of the African Arachnological Society at http://afras.ufs.ac.za and circulated via e-mail. 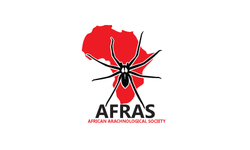 The AFRAS Colloquiums are a tri-annual meeting of local and international archeologists researching African arachnids. We particularly encourage participation by students and members of the amateur arachnological community. AFRAS is a non-profit organization, so unfortunately there are no travel grants to facilitate attendance. We do, however, try and keep costs to a minimum to encourage broader participation.